Another company in Canada has recalled products because of possible Salmonella contamination of chili peppers. Hello Fresh Canada Inc. is recalling several meal kits because they contain the red chilis. 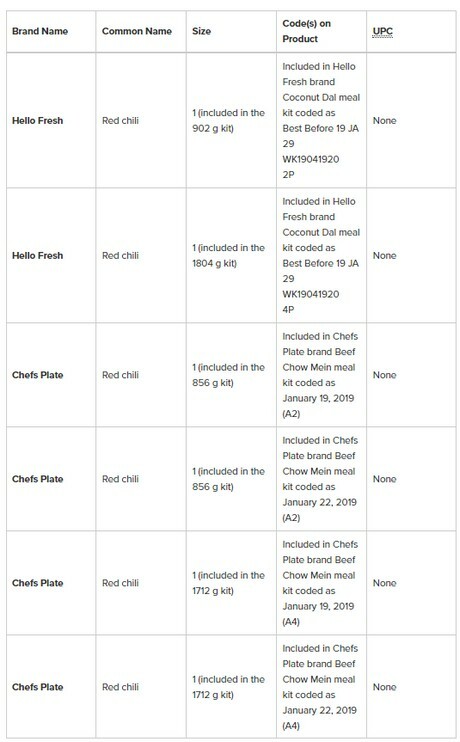 Both Hello Fresh and Chefs Plate brand meal kits are included in the recall. Earlier this week, Canada Herb recalled an undisclosed quantity its red chili peppers because of possible Salmonella contamination.